One surprise came after another. First my brother arrived together with one of my high school colleague and friend to say good bue in person. Then his wife Edit and his son Bence arrived. The were still there when Miklos and his girlfriend arrived. hey handed the door handle to each other. It was very emotional. Most of us were fighting against crying out loud. My wife just could not handle it so she cried. Which was understandable and OK. 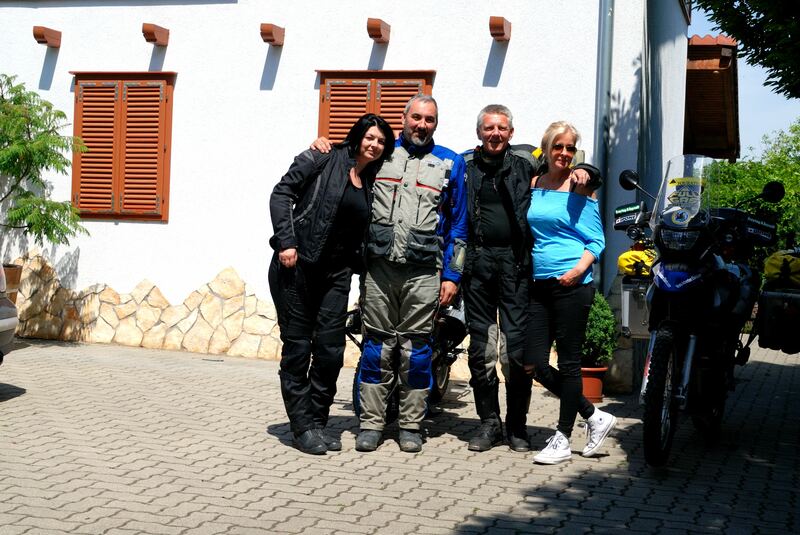 In the main time I received a message from Kiss Dénes the member of the Tenere Club in Szeged. He asked me if he could join me until Sabadka. I was very happy. I met him on he road and we had a drink together talked a little bit and headed towards Sabadka. Here we said our good byes and I continued to Backa Topola. 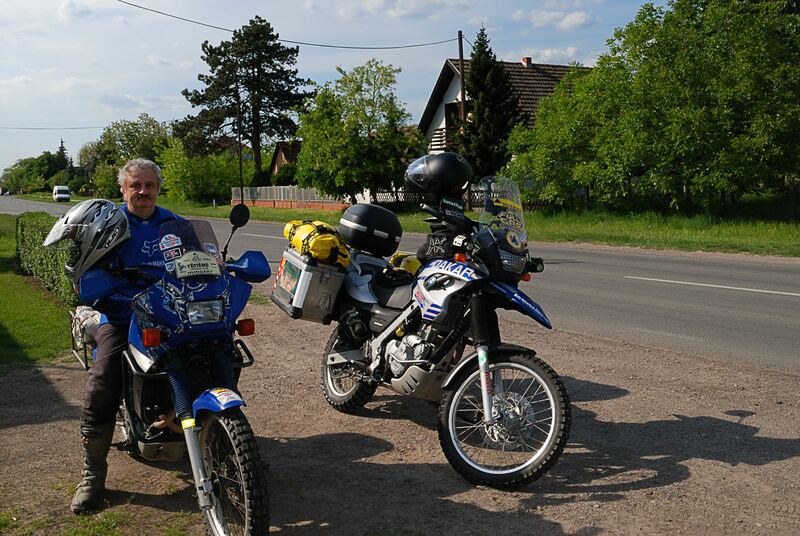 In Topola Joci and Ado was waiting for me. It happened that Joci was celebrating his birthday and invited his friend. Most of them I knew from before. He had a held pig roasted. 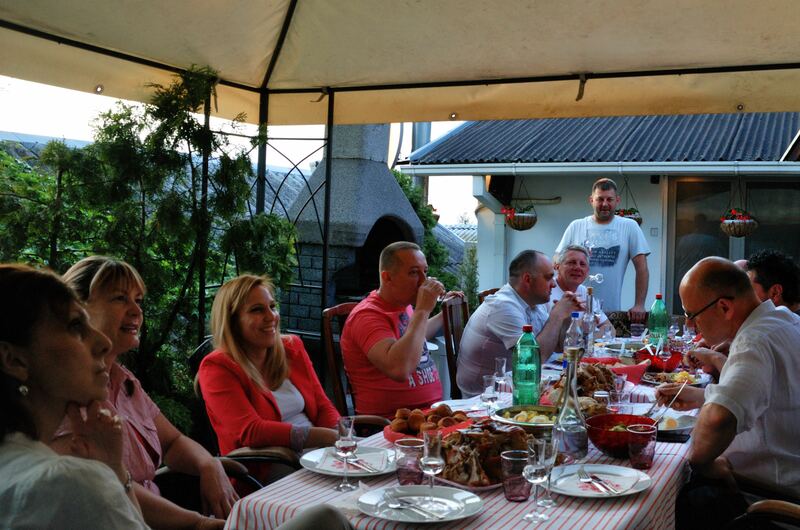 The table was full of food and drink. We had an excellent evening.